Hora Budapest Blog: Light Weight High Repetition Exercises To Define, Tone And Get Ripped Muscles? Light Weight High Repetition Exercises To Define, Tone And Get Ripped Muscles? Most people believe that exercising with light weights with high repetition will tone and define your muscles to get that rock hard ripped muscular body. Since so many fitness personal trainers teach their clients that, so it must be true? As summer approaches, many fitness enthusiasts will switch from muscle building routine to doing light weight high reps routine to cut away their body fat and to reveal their ripped muscular body. After all, it is shirt off time for the beach and poolside parties, isn't it? Well, I am about to bust this popular light weight high rep to tone muscle myth. Did I hear you gasp? Good. This is because the myth is so well entrenched and a lie being told too often will generally be accepted as the truth. To get toned and well defined muscles, you need to lose body fat covering the muscles. Period. When you get rid of your body fat, your muscles will show through. You will look sinewy and muscular. Of course, that is provided that you have built muscles below those fats. Let me ask you, how could light weight high repetition exercises build muscles or melt away fat? There is no logic in this. To build muscle mass, you have to do heavy weight low rep compound exercises, exactly the opposite of light weight high rep routine. To lose body fat, you have to do intensive cardiovascular exercises and eating correctly. There is no such thing as spot reduction short of invasive medical procedures such as liposuction. That means no matter how many crunches and side bends you do, the fat isn't going to come off your belly and neither will your love handles melt away. So if you want to reveal your well toned and defined musculature, you have firstly to build bigger muscles and then subsequently cut your body fat. Medium weight high repetition compound giant set exercises may help you burn more calories if the exercises keep your heart rate up and get you panting and sweating throughout the entire exercise workout session. However, this will already be a cardiovascular workout session and not a weight lifting workout session. So next time when some smart aleck advises you that to get a well toned muscular body, you must workout with light weight and with high repetition, just ask him to explain the logic behind his statement and have a good laugh when you see him fumbling for a logical answer. 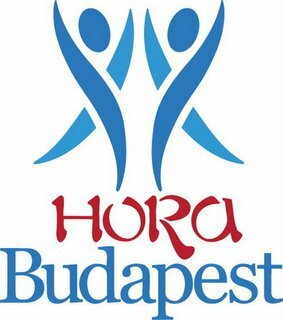 Írta: Hora Budapest Idő: 3/09/2015 10:51:00 de.